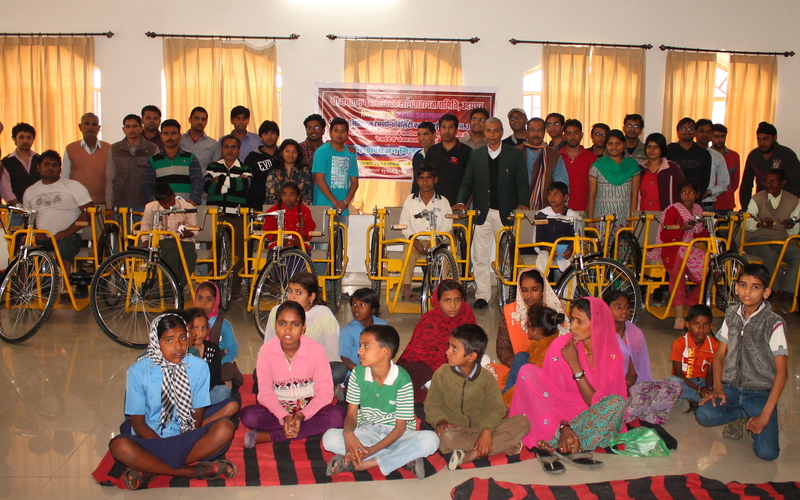 Prayatna – The Social Responsibility Club of IIM Udaipur organized a camp on 16th Feb, 2014 for free distribution of aids, appliances and certificates of disability to differently abled people. The camp was organized in collaboration with Shree Bhagwan Mahavir Viklang Sahayta Samiti (BMVSS) Udaipur, City Administration and Mahavir International Organization, Udaipur. 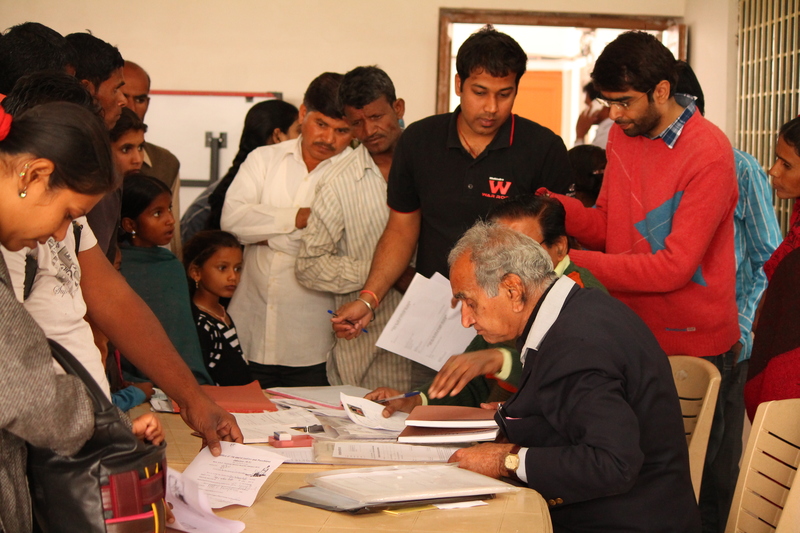 The camp was set up in IIM Udaipur premises where students extended their services to support the noble cause. 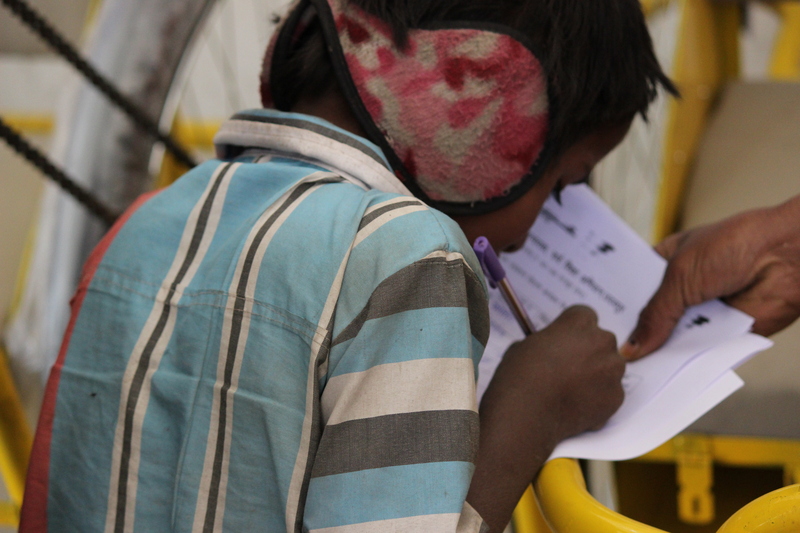 A team of doctors provided disability certificates and recommendations for helping aids to the disabled. Some of the key persons from various organizations including Government bodies, clubs and hospitals, who joined hands in this initiative by lending their services and infrastructure are Satellite Hospital’s medical team including Dr. Rajiv Saxena, Dr. Mukesh Jain and Dr. Tonk, Prof. Janat Shah – Director, IIMU, Mr. Yatindra Vir Singh from Roadways Department, Social Welfare Department of Rajasthan, Mr. Raj Lodha, Mr. Vardhman Mehta, Mr. J.S. Sameer, Mr. Rajendra Sen, Mr. Arjun Soni, Mr. Ganesh Dagaliya, Mr. Arun Kothari, Dr. K.L Kothari, Mr. R. K Chatur, Mr. Deepak Mehta, Mr. N. S Saxena and Mr. Bhandari. A total of 82 differently abled people benefitted from the camp which includes 29 students from different parts of Udaipur district. The benefits include 10 hand-peddled tricycles, 24 hearing aids, 3 Jaipur Foot’s prosthetic legs, 4 calipers, 1 pair of crutches, 38 certificates of disability, 29 railway transport passes, 37 roadways transport passes and 6 student scholarships. Social Responsibility is one of the key pillars of IIMU. And our Director Prof. Janat Shah’s persistent efforts lie in awareness of the budding managers of IIMU towards the critical issues in society. Prayatna appends his vision of developing a sensitized student force by giving them ample opportunities to serve the under-privileged. The camp proved to be one of the initiatives where the students spent a day well, spreading moments of happiness and joy sharing lunch with the people and got a chance to do a significant value addition to the society by creating awareness among the differently abled people about the opportunities ahead and a new life with Jaipur Foot. IRIS – The Photography Club of IIMU helped in coverage of the memorable day by clicking pictures.